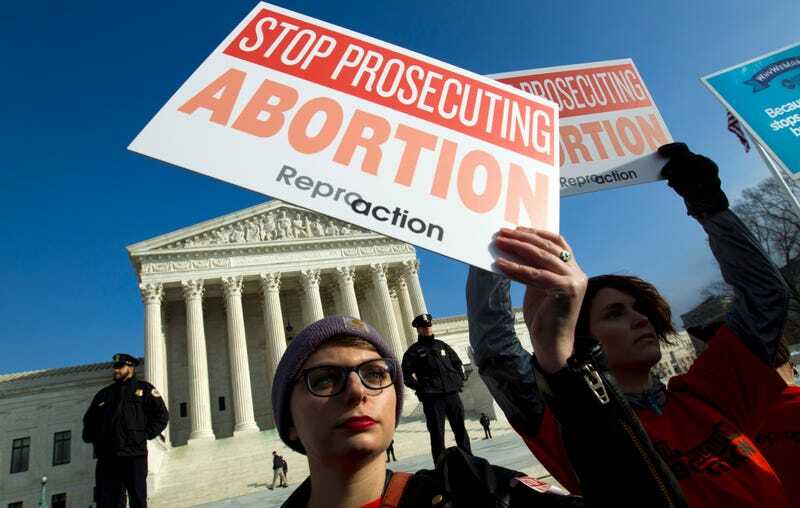 On Thursday, the Supreme Court ruled in a 5-4 decision to temporarily block a Louisiana law from 2014 that would have effectively shuttered all but one of the state’s three remaining abortion clinics and represents a dangerous swerve in the high court’s precedent. In September, the Fifth Circuit handed down a surprising decision in June Medical Center v. Gee, upholding the Louisiana statute, which had previously been blocked by a district court shorty after it was passed in 2014. On January 25, the Center for Reproductive Rights filed an emergency application to the Supreme Court asking that it stay the Fifth Circuit’s ruling and in doing so stop the law from going into effect. At issue in the case is a TRAP (Targeted Regulation of an Abortion Provider) law, which, if allowed to go into effect, would have required doctors who provide abortions to have admitting privileges at a local hospital, a stipulation which has nothing to do with the safety of the procedure. If upheld, the Supreme Court would have broken the precedent it provided in its 2016 ruling Whole Woman’s Health v. Hellerstedt, which struck down parts of a similar Texas TRAP bill, HB2, including its admitting privileges requirement. Chief Justice John Roberts voted with the liberal members of the court. Justice Brett Kavanaugh voted with the conservatives—Clarence Thomas, Samuel Alito, and Neil Gorsuch—and filed a dissent. NBC News reports that in the dissent, “writing only for himself,” Kavanaugh would have allowed the Louisiana law to take effect to see if it would impose a burden on access. The high court has now agreed to grant that pause in the litigation, but it could still refuse to hear the case and leave the lower court decision in place. That would be a tacit acknowledgment that a majority of the justices no longer support the 2016 decision, and an invitation to anti-abortion state legislatures to pass more laws aimed at gutting Roe v. Wade, without reversing it outright.